Bus transport is the most common way to travel to and from Kopaonik. Considering that the compact Kopaonik ski center (ski-to-door) bus transportation is one of the best solutions. You will not have any trouble installing car chains, there will be no problems with parking and cleaning out parking spaces and the car itself, you will not have to worry about someone not to damage the car and at the end of the bus will bring you next to your hotel. Currently, there are four bus lines to Kopaonik and four bus companies. 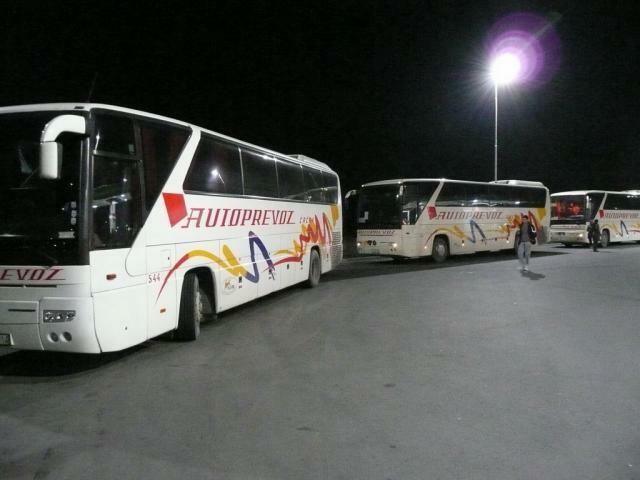 Jugoprevoz Raska twice a day runs between Belgrade - Kopaonik, Autoprevoz Krusevac operates from Novi Sad to Kopaonik, Nis Express from Nis – Kopaonik, while Supernova travel organizes transportation every Saturday and Sunday, charter bus services from Novi Sad and Belgrade. It should be noted that in the days of fewer visits to Kopaonik, there is stopover in Biljanovac organized by Jugoprevoz Raska. There is nothing to worry about, the bus will wait for you, and everything you need to do is to switch equipment and stuff. In the following table, you can see the arrivals and departures to Kopaonik.